Samsung has updated the EULA and FAQ pages for its firmware beta program in the US with references to Android Pie. This suggests that the company may soon launch a beta program with the latest version of Android for the Galaxy S9 and S9+. As spotted by XDA, the pages have been updated only in the United States, though other markets are expected to follow. There is no mention of a launch date, but if last year's Oreo beta program for the Galaxy S8 and S8+ is anything to go by, the new one be launched sometime in November. Owners of the US unlocked versions of the Galaxy S9 and S9+ can sign up for the Android Pie beta program through the Samsung Plus app. Once the launch date rolls around, you'll get a notification to sign up for the beta, but you'd better act fast, as there will be around 10,000 spots available. Android 9.0 Pie on the Galaxy S9 and S9+ comes with the Samsung Experience 10 built on top. 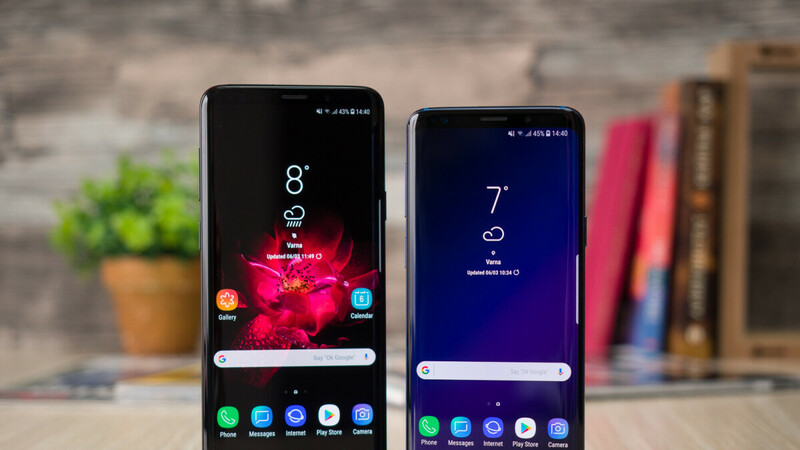 It introduces a refreshed user interface with a redesigned icon set and navigation buttons, darker backgrounds and notifications with rounded corners that closely match those of Samsung's Infinity Displays. Samsung Experience 10 also introduces a customizable, gesture-based navigation and a "lift to wake" feature. Samsung is thinking of starting with the beta test of Android 9, when my XZ3 runs on it already. Please someone explain why it's a good idea to mess Android with custom skins. There is no customer benefit, only benefit for the OEM who wants to lock you in their ecosystem. That's the most ridiculous thing I've ever heard. The benefit is that I've had features for years that vanilla Android has only recently received or still doesn't have. Do you realize how many options Google has added to Android over the years that came from Samsung? Clearly not. Why would I want vanilla Android 9 when in my eyes, it would be a step backward from the Samsung Experience on 8.1? Because you miss out on important stuff like battery optimizations and security patches and you gain in features that no one cares about. It's been at least two-three years that stock Android has caught up with all important features of custom skins. Also Android has a UX design identity called Material Design and Samsung skin replaces it with Samsung Experience. It means that your phone is a cheesy patchwork of UX designs, when you switch between Samsung elements and stock Android apps. I actually do get battery optimizations & security patches (obviously not as quickly as you do), so that shows the ignorant place your comment is coming from. Also, when I use vanilla Android, I still find it lacking in features that I use daily. Also, I don't agree with your assessment of the UX, but agree to disagree, I guess. With the exception of Gmail, I don't use any stock apps anyway. There are system-wide security patches that are not covered by monthly bulletins, that you miss out. There was recently a discovered security hole in Android that is patched only in Android 9.
you realize material design is still being implemented in apps from google right??? stock android provides the frame for which you can add what you want. how long did it take to implement split screen in stock? or pop out video? samsung has put many features in there phone closer to custom roms than most others. that is why it does not matter having the latest version of android... but having security updates is important which are received in a timely manner! Maybe samsung has to update bigger phone lineup than sony, don't you think? But Samsung's developer team must be several times bigger than Sony's. Still no excuse. Clearly the delay is because of Samsung Experience overlay and its pointless re-design and not the bigger lineup or the porting of more features. Sony proves that this is not a reason good enough for a six month delay. Google has yet to implement a one handed mode in Android. Samsung put this feature in their skin 3 years ago. If you use it a few times, you will love it. It's worlds better than the iOS one handed mode, as you get to see the entire screen on Samsung, vs obscuring the bottom half of the screen on iOS devices. There is a one handed mode on my XZ3 and yet it runs Android 9. There are also other enhancements, like face tracking for display on, white balance adjustments, sound enhancements etc. Let's not forget Side Sense, custom camera app, custom phone dialer and other apps. And yet the phone has beaten even Pixels in bringing Android 9 first to the market. There is really no excuse for Samsung, because the delay is not caused so much by importing features, but by the completely useless re-design of the entire interface. Stop bringing up as an excuse for the delay the inclusion of extra features, because it is not true. Can someone explain what type of joke is this? The XZ2 which was released with the S9 is receiving the official version of Android Pie, but Samsung is starting Beta program just now? Whats the point of project treble? There was an article today in Samsung fan website Sammobile that illustrates why Project Treble isn't much of a help for Samsung to bring speedier updates. Samsung fans, braise yourselves for another looooong wait for next major Android version update. Just wait. Feanor will be around shortly to tell you how you're absolutely wrong as if everyone cares about quick updates.